« Killers of Iberian Lynx to the Guillotine. No mercy! While Russia accelerates its agreement with China to build floating nuclear energy production plants, and just signed an important agreement with Norway about exploiting Arctic natural resources, it has a lot of skeletons in its closet. 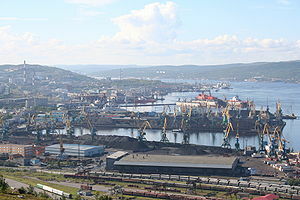 The country has still not cleaned up the millions of cubic-meters of nuclear waste and old warships just left behind in the sad coastal graveyards in the now desert environment of the northern Murmansk area. This entry was posted on 24/09/2010, 08:55 and is filed under GLOBAL LIFE, LIFE IN NORWAY. You can follow any responses to this entry through RSS 2.0. You can leave a response, or trackback from your own site.